Kaplan regularly offers LSAT classes in Honolulu. They offer LSAT tutors, classes, and online courses. Offering Honolulu LSAT classes for over 40 years. More LSAT course content: 75+ practice LSATs and over 5,000 released LSAT questions (7,500+), plus hundreds of hours of content with the LSAT Channel. Take an LSAT classroom course in Honolulu, HI. Find an LSAT Tutor either in Honolulu or online. 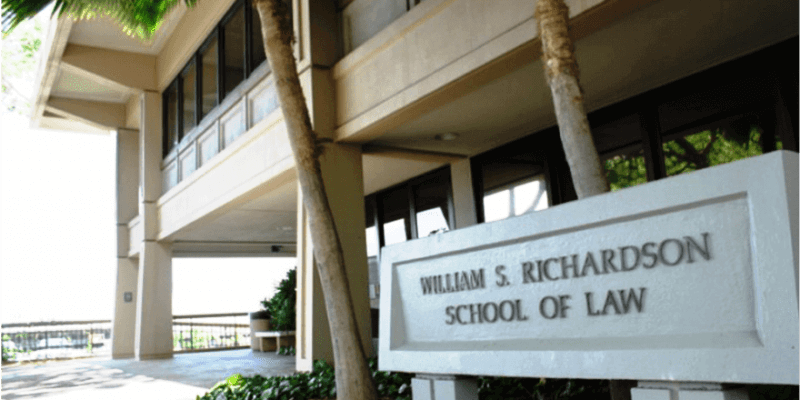 Hawaii Law School, Honolulu, HI has an average LSAT score of 154 (59.7 percentile). The admissions rate is 36.7%, making it a competitive school. The average starting salary of graduates in the private sector is $77,500 and in the public sector it is $56,000.